The citizens of Turkey's Hatay province, which borders Syria's Latakia and Idlib governorates, are looking forward to the eradication of the last major terrorist hotbed on the territory of the Arab Republic by Syrian government forces. "We are waiting for the operation in Idlib, thanks to which jihadist groups and foreign forces, their supporters, will be expelled from the region. The people should return to a peaceful life," Hulya Kabuk, a representative of the Turkish Socialist Liberation Party, told Sputnik Turkey. "No one can feel safe here in the streets, everyone is afraid of possible terrorist attacks. We all want the end of the war in Syria, we want the Syrian people to participate in the decision-making on the fate of their country," Kabuk said. Kerem Nalbant, the co-chair of the pro-Kurdish Peoples' Democratic Party in Hatay, echoed Kabuk by saying that the Idlib operation should start as soon as possible. "Now the operation in Idlib, which became a hotbed of terrorist groups, is high on the agenda," Nalbant underscored. "According to some reports, about 80,000 jihadists are located there. The inhabitants of Hatay are extremely concerned about this situation. We support the plan of the [Syrian] government forces to attack Idlib, but we advocate for taking all the measures to ensure the safety of civilians [there]." "We believe that Idlib will become the final milestone on the way to the end of the war," he underscored. "We also expect that after the Idlib operation, the Turkish-Syrian border will finally be opened for the free movement of civilians." He recalled that the regions had been involved in active trade and interactions before the Syrian civil war erupted in 2011. "We want this to become possible again," Kanatli said. "After the operation in Idlib, the Syrian people and all ethnic groups will be able to breathe freely." Cem Kucuk, a Hatay resident, insisted that the Syrian Arab Army's operation against the terrorist hotbed should be kicked off urgently. "Idlib is an extremely important region of Syria, and it must be immediately cleared of all terrorist elements in order to ensure the territorial integrity of Syria," Kucuk emphasized. "I think that the Syrian government forces will not delay the operation." "They conduct precise strikes on certain areas, where there are no civilians," Kucuk noted. "In general, everything indicates that the end of the war in Syria nears, and the Syrian authorities will win." Given this, Ankara needs to start a dialogue with Damascus, the Hatay resident opined. He believes that mutual compromise will play into the hands of both Syria and Turkey. 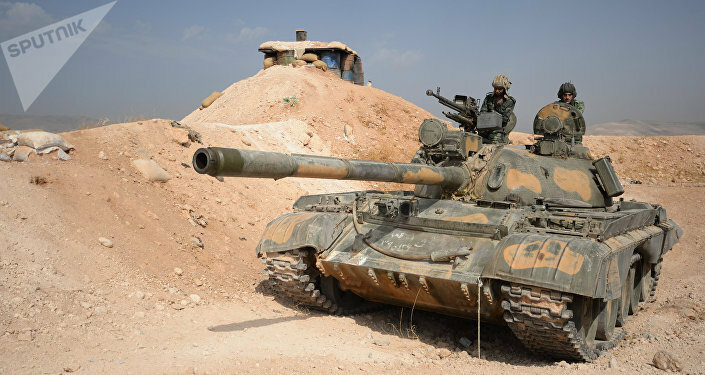 The forthcoming Syrian Arab Army's operation in Idlib has already come under criticism from Washington and Ankara. Turkish President Recep Tayyip Erdogan has urged the international community to prevent the operation claiming that it would be a "humanitarian disaster." For their part, Moscow, Damascus and Tehran point to the obvious fact that the liberation of Idlib from Tahrir al-Sham* and al-Nusra* terrorists will pave the way for political settlement in the country, reconciliation and the restoration of the Arab Republic. *Hayat Tahrir al-Sham, al-Nusra Front (Jabhat Fatah al-Sham), are terrorist groups, banned in Russia.